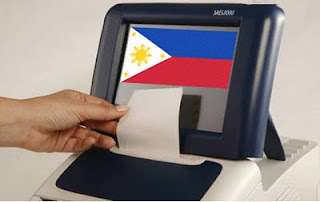 For this week, local news and newspapers featured the very first automated election here in the Philippines. Coincidentally, it will be my first time to vote...hehehehe. Same with the husband. Thanks to COMELEC in Makati they decided to visit our Barangay Hall last June of 2009. It was convenient for us to simply file our voter's application form. Now I'm still waiting for our voter's ID. Maybe I should make a follow-up call next week to our Barangay Hall's office. The problem is that the voting sheet is longer since all the names of the candidates running for national and local will be there. Now I wonder if I can use a pentel pen to simply shade the buttons. All you need is one tiny dot mark from the pen and voila! The circle will be fully shaded! What do you think? Is it okay to use a pentel pen on the Election Day??? UPDATE (Date and Time Stamp- February 3, 2010 @ 5:03pm): Last night when I was watching the news I saw an event in the province of Abra (North Luzon) where they did a dry-run test on the automated machine with the participation of the locals. To my suprise, they are using pentel pen or markers to shade the radial buttons on the voter's sheet! Now surely, voting will be really much easier than before. 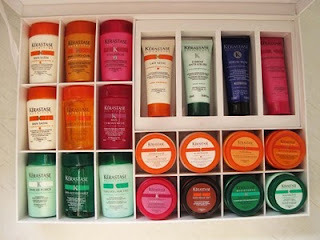 Thanks to Lalaine for sharing this information through her blog. For those looking for a sweet treat for their loved on Valentine's Day, here is a good news for all of you. 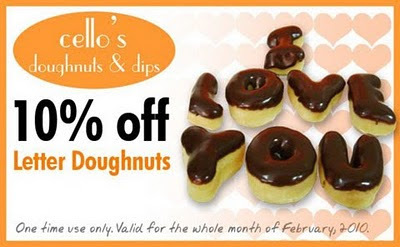 Cello's Doughnuts and Dips is offering a 10% discount for their letter doughnuts. Simply print the online coupon below and present it to their store upon ordering to avail the 10% off. Promo runs for the whole month of February. Located right across Ateneo, the first branch of Cello's Doughnuts and Dips is on the 2nd floor of the PS Bank and EastWest Bank building, right beside One Burgundy. Located right across DLSU's North Gate on the ground floor of Burgundy Transpacific Place. An old colleague and a friend of mine is currently looking for IT Professionals who are willing to relocate in Singapore. The company is 100% Singapore-Chinese Company. > Those with banking background and good personality, attitude, presentation preferred. > Proactive, loyal, stable consultants......Worked on medium to large scale projects. Those with experience in Manual + Automated Testing (added advantage) but core should be a manual tester-GUI-functional-blackbox. No Servlets , no Struts and no JSP required at all. Interested individuals or someone you may know who might be interested can send me an email or leave a message. Thanks! As I was preparing the requirements that I have to submit today for my Visa Application, I realized that I will be arriving in Shanghai 15 mins away from the Chinese New Year! That means I will be celebrating the event literally on the streets...hehehehe. My sister sent me an email a few minutes ago with the itinerary she made for my one week trip. Her reason is simple - to make the most out of my vacation in Shanghai! And I'm excited to be there thought it means I will be leaving the husband behind. Sniff! I'll just make it up to him when I come back. I have to reserve all my energy for next month! Meaning it's the first time for me to bake! Last December 31 (or is it January 1?) 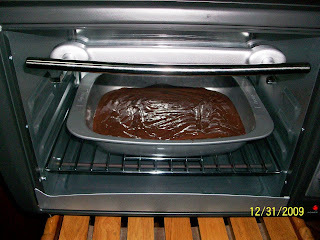 my aunt and I decided to bake some brownies to celebrate the New Year. 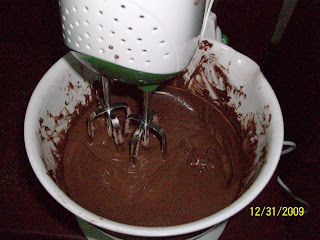 Of course I was more than willing to do everything myself since I was excited to try my hands on baking. Can you tell that I am so eager just by writing this in my blog? Hehehehe. 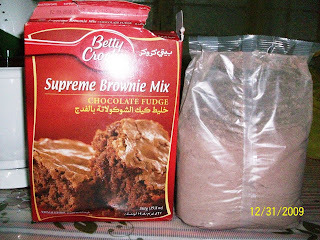 I just follow the instructions on the back of the brownie box. 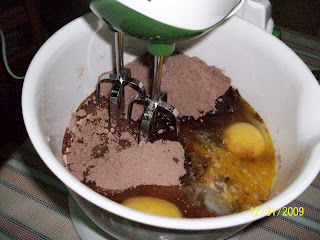 As far as I can remember there is a butter and eggs on this mixer together with the brownie. 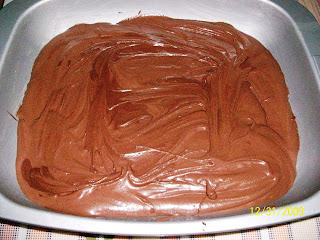 The mixture in a baking pan ready to pop in an oven. 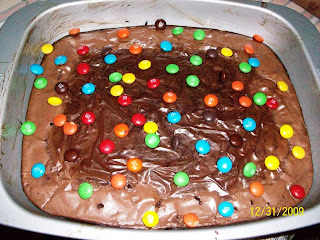 My younger cousin suggested to put M&Ms on top of the brownie to make it colorful. So how am I going to rate my experience in baking the first time...Well it's around 3.5 to 4 out of 5. 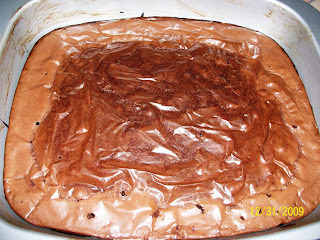 The side portion of the brownie got overcooked (almost burned) thus it tastes bitter but the middle portion tastes really good! I made a mistake of checking the mixture. I should have poked a toothpick in the center not in the side to make sure that it's well done. Oh well, that's one lesson I've learned and also it pays to read the instructions carefully. 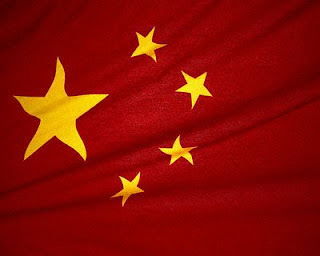 My priority for this week is to complete all the requirements needed for my Chinese Visa Application. Next week my priority is to complete all the requirements needed for my sister's Pag-ibig Housing Loan Application. Whew! Can you just imagine the things/thoughts that are running on my mind? Plus the fact that I have to do my job here in the office. I still owe you a lot of stories and pictures. Hopefully I can start tomorrow to post them one at a time. The requirements I mentioned above are based on first-timers like me. On my case, I don't have SSS ID thus they suggest that I present them with my E1 form or SSS Contributions. I also don't have a TIN ID thus they asked me for an ITR. Next week, I will be accomplishing the ITR and the bank certificate. It seems that even though you have a relative working in China, you still need to present them a bank certificate. It's either you present them your bank certificate or your sponsor does. This time I decided to go through an agency to process my Chinese Tourist Visa application since I don't have enough time to go to their embassy and fall in line. I just hope that the documents I will present them are enough to grant me a single-entry visa. Hold your horses since it's not my birthday. I was blog hopping when I read Candishhh Tales Birthday Raffle contest. The mechanics are simple. 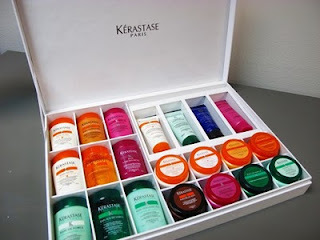 Simply visit her site and leave a comment on her post titled: My Birthday Raffle. Leave as many comments as you want for more chances of winning. 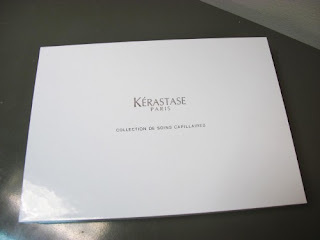 The WINNER will be picked from the pool of comments and will be announced on my birthday - January 25, 2010! What are you waiting for? 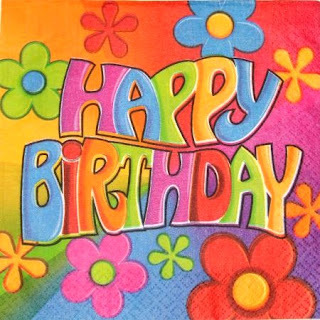 Go visit her site and sent her your warmest birthday greetings :) Good luck! I forgot to post my experience about renewing my NBI clearance. Last week I decided to renew my expired clearance since I'm preparing the necessary documents I needed for my Chinese Tourist Visa application. I went to the nearest NBI satellite office which is in Park Square Makati. It was 5pm and I was in a hurry since I have no idea what time they will be closing. There were two people who are lined up on the booth. I'm the next customer in line. Step 1: Paid the NBI clearance (Php115.oo). The staff will ask you if it's for local employment or travel abroad. Step 2: Having your picture taken. Step 3: Editing the information on your NBI. They will ask you if there's a change of address, etc. Step 4: Wait for the printout. Step 6: Paid additional Php 20.00 for the packet size brown envelope to put your NBI clearance and a piece of wet wipes for your dirty right and left thumb. I didn't mind the extra cost since everything happened so fast! All these steps in 1 minute. I am suprised! For the very first time in my life, I got a fast service from the government...Sweet. I'm aghast! My other blog is suspended. I'm not exactly sure why. Yesterday I was able to post an entry and everything is working a-okay. But today is a different story. When I typed the URL of my blog it comes up with "Account Suspended". When I try to log-in to access my blog entries and stuff, it gives me the same message. As far as I know I didn't post anything illegal or any profanity words on my blog entries so why the suspension? I'm now talking to a chat support representative of Namecheap hoping to find an answer. I've sent an email as well to Wordpress and I hope I can hear from them soon. I want my blog back! Sniff! UPDATE (time stamped- 1:45pm) - My other blog is up and running! Thanks to the help of Kerslyn and the Namecheap support. Now I am back to my happy me! Been out for two days since I'm having abdominal cramps and I'm still waiting for my monthly visitor to come. Since I've been out for 2 days, I've got loads of work waiting for me when I opened my work email. For the time being as soon as I finished this post, a non-disturb sign will be posted on my work station...ahahahaha! Time to dig to those job requirements and hopefully I can get it all done by 4:30pm today. Yesterday when it's nearing the end of my shift, my sister emailed me and sent me this website Explore Shanghai for the different places/sites I want to check out in the city. When I opened the website it gives me this map of the different train routes along the city and on the next tab is the name of the different places in Shanghai. I was overwhelmed by the names that I decided to do a search of my own. The Bund - this busy waterfront is the image that most people see when thinking of Shanghai. From The Bund, you can see the Oriental Pearl TV Tower, a statue of Marshall Chen Yi, and a large mural. 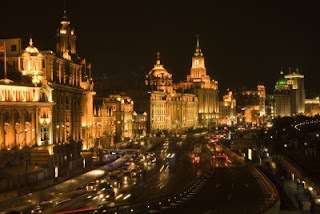 The Bund is especially beautiful as seen at night from the Huangpu River. Jade Buddha Temple - located in the western part of Shanghai, the Jade Buddha Temple is something that all visitors should see. It was build more than 100 years ago to house two relics: jade Buddha statues. 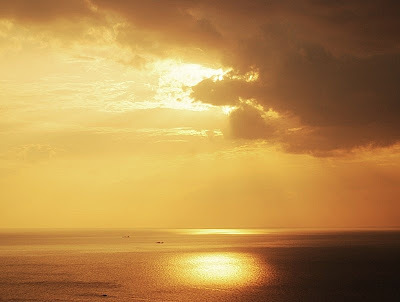 Today, it is a tranquil place and a popular tourist destination that houses a number of relics. 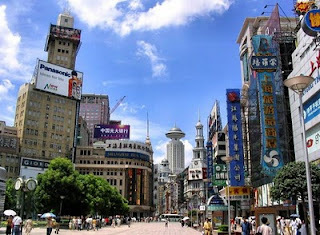 Nanjing Road - this is the most well known shopping street in Shanghai, and if you are into fashion and looking for something to take home with you from your vacation, then you will want to stop here. The road is nearly three and a half miles long and is full of shops and specialty stores of every ilk, as well as cafes and hotels. 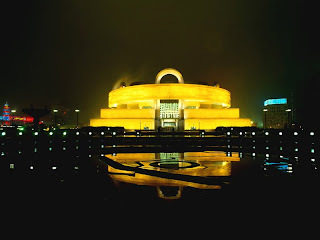 Shanghai Museum - there is no better way to learn about the history of the city than to take a trip to the Shanghai Museum, located in the People’s Square in the heart of the city. The building is ultra modern, and is filled with treasures and artwork from China’s past. Anyone visiting the museum will come away with a renewed appreciation of the nation’s history. Yuyuan Garden & Bazaar - Nice place, covered with typical Chinese architecture, with lots of shops, bars and restaurants. Stays open until late night gathering Chinese and foreign tourists. 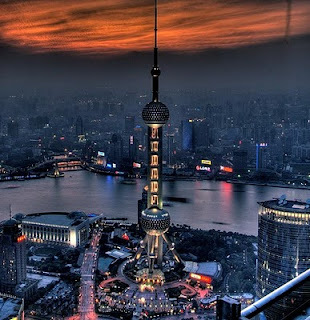 Lujiazui / Pudong - Situated within the Pudong Park in Lujiazui, in the Pudong New Area, the Oriental Pearl TV Tower which is 468 meters high. 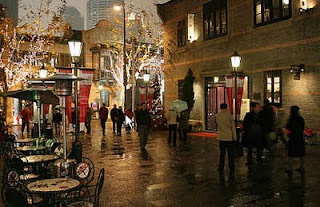 Xin Tian Di - the old Shikumen residential area near "Zhonggong yidahuizhi" (site of the 1st National Congress of the Communist Party) is probably the most successful example of Shanghai's city planning department's urban renewal effort. The final scale of this project is to include restaurants, offices, residents, and shopping centres. Zhou Zhuang - the flat countryside around Shanghai contains numerous "water" villages. 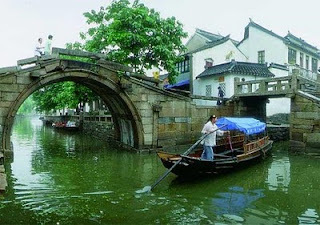 The most famous of these, Zhouzhuang, is a UNESCO World Heritage site. It is a picturesque town of cobblestone streets, narrow canals and stone bridges. I just hope that we can visit all these places next month with my sister! Apart from that my tour dates coincides with the Chinese New Year celebration! I bet my trip will be full of color and festivities. I wish I had a SLR camera to capture the moments. Hehehehe. Just remembering what happened last night made me smile and I couldn't help myself but to grin from ear to ear. There are moments when my hubby surprises me unexpectedly. Let me tell you all about it, last night when we were in a grocery store buying additional items for our home. While we were walking in various aisles looking for other things to shop, the husband suddenly stopped in a price scanning machine. He reached for the front hem of his sando shirt in attempt to scan the item (note: there's no barcode on that part of his sando shirt). Hubby: I'm checking how much I worth. Hubby: (saying it in a sheepish way) Oh, I'm PRICELESS. Sometimes my husband acts like a child which I find cute and amusing. In fairness to his effort in making me smile, last night was the first and the best one for this year! Hard to believe right? I myself is in disbelief when I heard this in a local TV show sometime last year in December but according to a Fitness First Trainer the steps below are medically proven to burn the 400 calories in just 4 minutes! 1. In a mat, make yourself in a plank position. Stay in that position for 10 seconds. 2. Next is the squat wherein you raise your hands in a surrender-like position then start bending your knees at the same time while they are apart. Count from 1 to 10 (no need to use a wall for this exercise). 3. 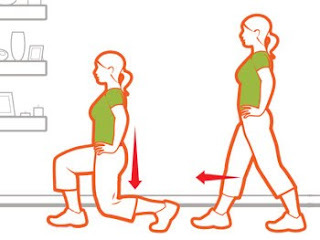 Next is the lunge wherein you put your one foot forward then bend the other knee. Do this alternately with your other leg and foot. Count from 1 to 10. 4. Push-up for 10 counts on the mat. 5. Crunches/situps for 10 counts on the mat. Say hello to a fit and healthy you through these exercises! You can't apply one style like a blanket. We suggest a combination of styles and values to create the look you want. Remember to use details, textures or textiles, to let your personality shine through. Mix and match these options to create a truly unique business space. Make business personal again. Ouch! And I thought that I have a flare for interior designing (LOL) based on the Sims 3 games that I played. Too bad I was not able to get screen shots of the houses that I created plus the furnishings. I know I can impress the IKEA people with my creative mind. Hahahahaha! Anyways, I'm sure a lot of people used corned beef as a viand or a spread for a bread. And for most Filipinos cooking a corned beef means sautéing it with garlic and onion and after a few minutes, presto! You have now a partner for your rice (plus fried egg). I am a big fan of Purefoods Corned Beef and I like the taste of it compared to other brands out in the market. On its can you will see recipes created by two local chefs here who are known for their culinary expertise and one of them is Chef Gonzales. You've probably seen him in a local TV show where he showed his expertise in the kitchen ;) To cut the long introduction short, I decided to create one of his recipe. 1. For the Roux: Mix together and cook to a paste over low heat. Set aside. 2. Melt butter and sauté onion, celery and bell peppers. Add mushrooms. Continue sautéing. 3. 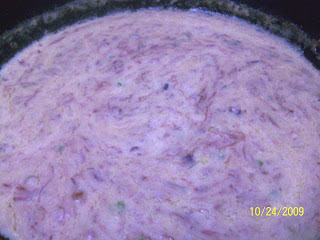 Add Purefoods Corned Beef. Add cream, wine and stock. Let it simmer. Season with salt and pepper to taste. Add Roux to thicken. Hubby's Rating: 4 out of 5 (the actual color of the corned beef ala king should be white cream but on my case it was a little bit yellowish since I think I put too much butter on the Roux). Regardless of the color, I'd say that taste is the same when your eating an Ala King! P.S. See the date on the picture? Hehehehe. Told you that it was a long time before I posted this entry. Happy 2010 everyone! I'm still wanting to have a long vacation. But that will come next month ;) I still need to process a few papers before I can finalize my China travel. I will be crossing my fingers and hopefully lady luck is with me! A lot of happy memories were made last year. 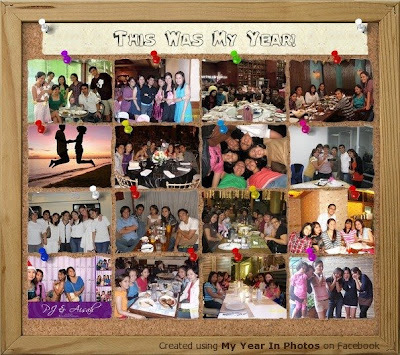 Most of them are with my friends but that doesn't mean that I completely forgotten my family. I am happy for my sister who was able to work abroad and though I am struggling to meet ends I'm grateful for the Lord for helping me in different ways. I am happy that I still have a job despite the recession left and right.